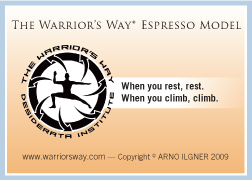 Description: Durable laminated card with the essence of the Warrior’s Way® material as outlined in the Espresso Lessons book. Front side has the useful “When you rest, rest; when you climb, climb” mantra. 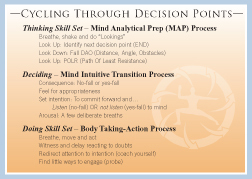 The back has detailed information for cycling through decision points.